The hospital operates from a modern purpose-built facility constructed in 2010. The building is shared with the Charles Sturt University Small Animal Referral centre and Small Animal Teaching hospital. The practice has provided veterinary care to production farm animals, domestic pets and horses for nearly 60 years. Our aim is to continue to offer up-to-date high levels of veterinary care, delivered with old-fashioned ethical standards, observing empathy with our clients and showing a caring understanding of their pets and animals. 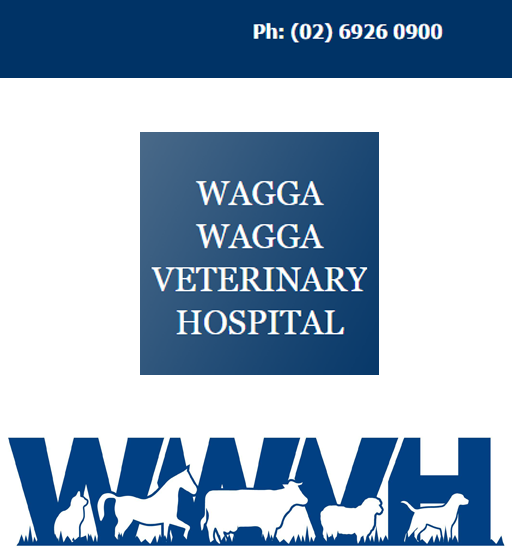 Equine vaccine & worming supplies. Hendra certified vets. We service our large animal clients though farm visits or we have crush/ holding/ loading facilities on site at our new veterinary hospital for in clinic examination and treatment.